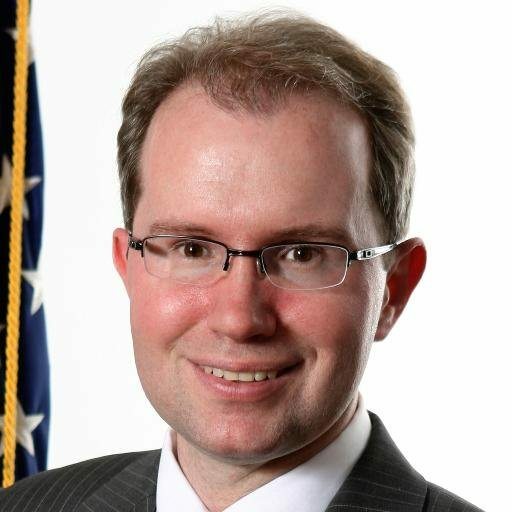 Change-maker and Federal Communication Commission Chief information Officer David Bray will be moving to the National Geospatial-Intelligence Agency, NGA Director Robert Cardillo announced today at the GEOINT Symposium in San Antonio. Bray’s new role, chief ventures officer, is part of the agency’s effort to revolutionize its business practices, workforce and technology acquisition. “If we were to attempt to manually exploit the commercial satellite imagery we expect to have over the next 20 years, we would need 8 million imagery analysts,” Cardillo said. The future of NGA—and geospatial intelligence writ large—will depend on advanced technologies like automation and artificial intelligence. That’s where Bray, a longtime advocate for both, comes in. As CIO at FCC, Bray spearheaded the agency’s transition to the cloud, and was able to reduce spending on legacy systems from 85 percent of the IT budget to under 50. With nearly 100 percent of its IT operations now in the cloud, FCC also cut its contractor workforce by around 200 positions. Transitions and modernizations bring friction, but Bray is used to being “a human flak jacket,” as he calls it. “I’ll serve as lead instigator and lead champion of #ChangeAgents at NGA, while at the same time having mechanisms to spotlight new ventures and new avenues of exploration to move the agency forward,” he said. This role is the first of its kind in a government agency, and has been roughly nine months in the making. The most important part, though, Bray said, is that this push for innovation and transformation isn’t happening in some cordoned side office.